When you arise in the morning, give thanks for the morning light. Give thanks for your life and strength. Give thanks for your food and for the joy of living. And if perchance you see no reason for giving thanks, rest assured the fault is in yourself. It’s easy to forget the abundance I enjoy and take it for granted. But from time to time I do count my many blessings and give thanks……And the more I reflect on my abundance the more I have to be grateful for……. 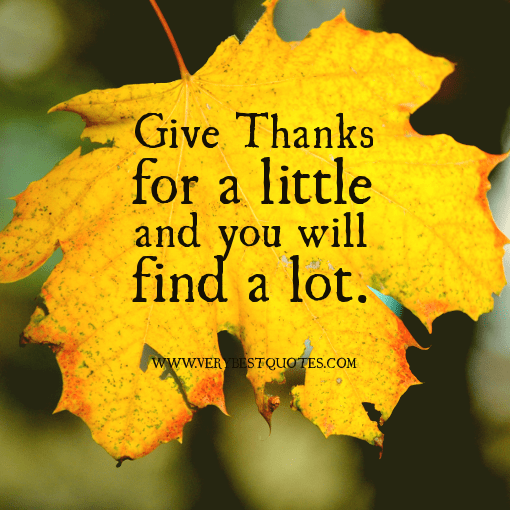 Stop a moment today and recall just 5 things you are thankful for…What are they?